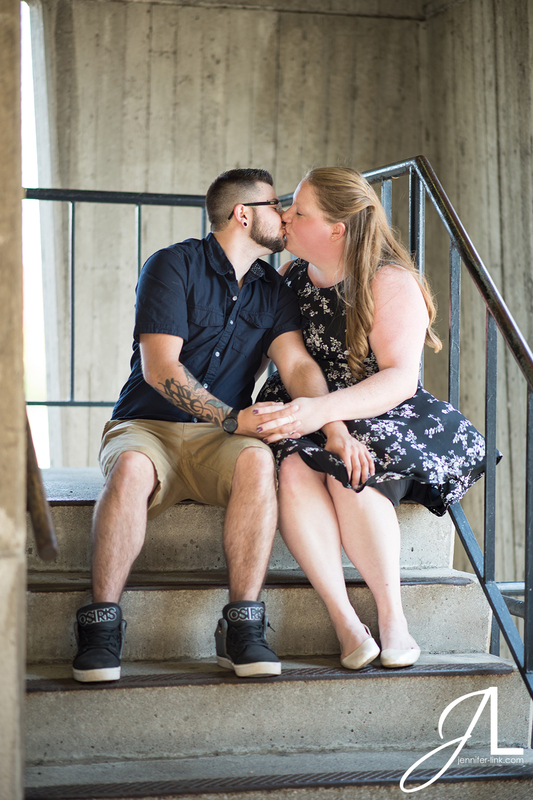 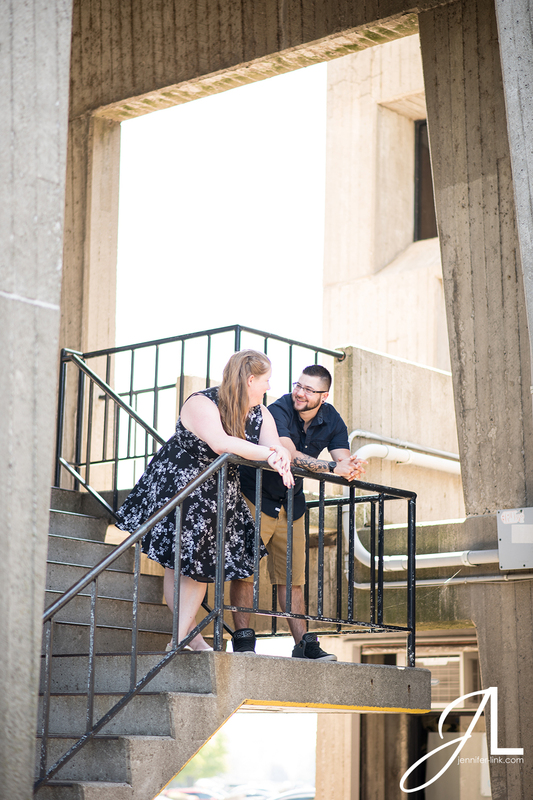 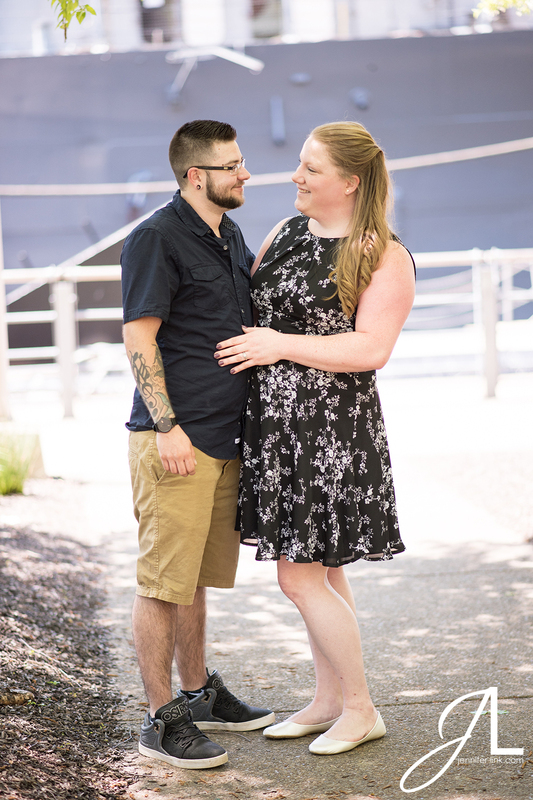 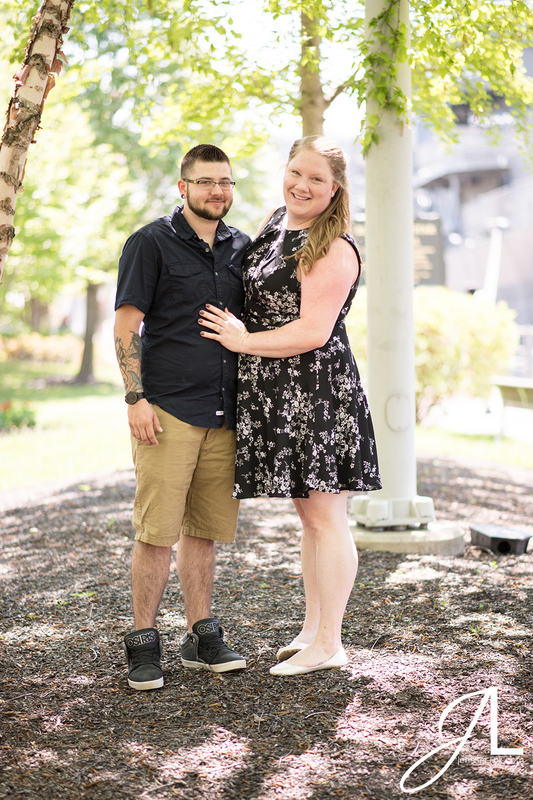 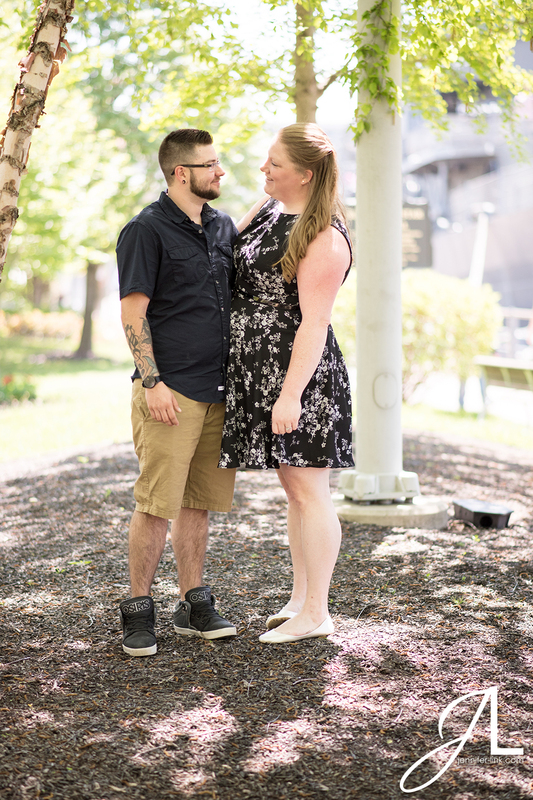 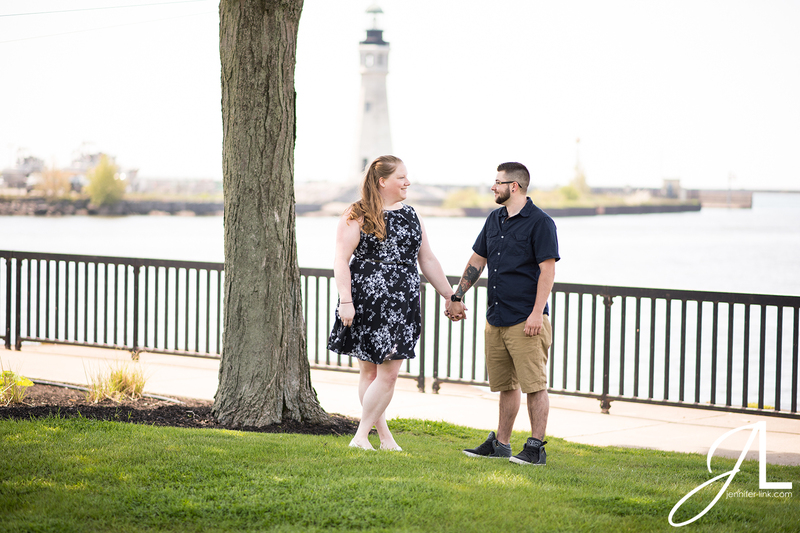 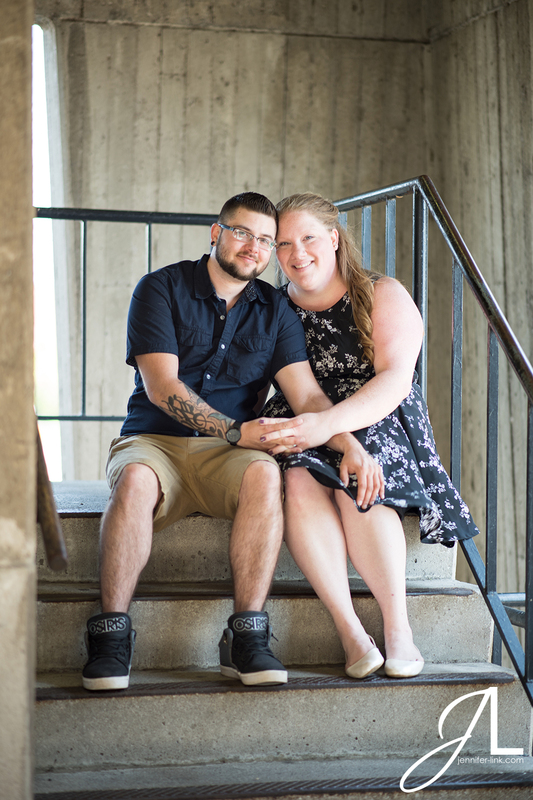 Cameron proposed to Meagan on a bench overlooking Lake Erie at Buffalo’s Outer Harbor so that made it a sentimental location for their engagement session. 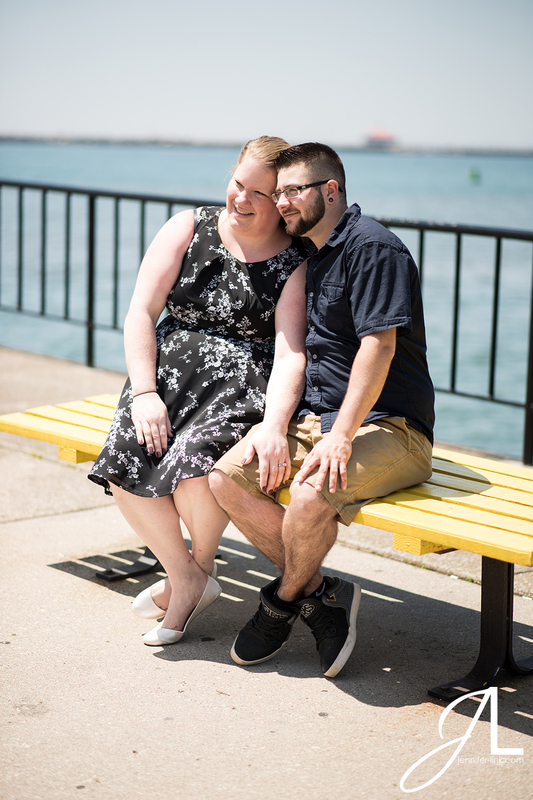 It was a hot sunny day so we had to find the perfect spots that avoided the glaring sun. 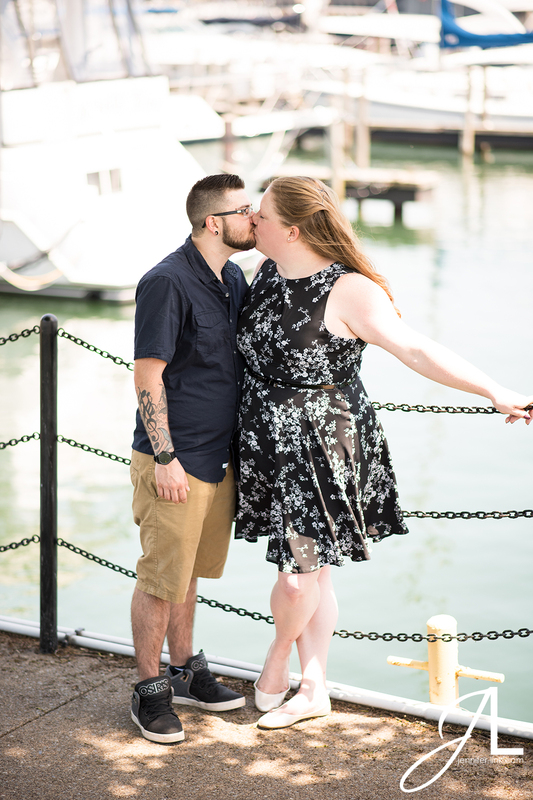 We took a nice stroll down the harbor’s walkway to the bench Cameron proposed at near the observation tower, finding little areas for photos along the way. 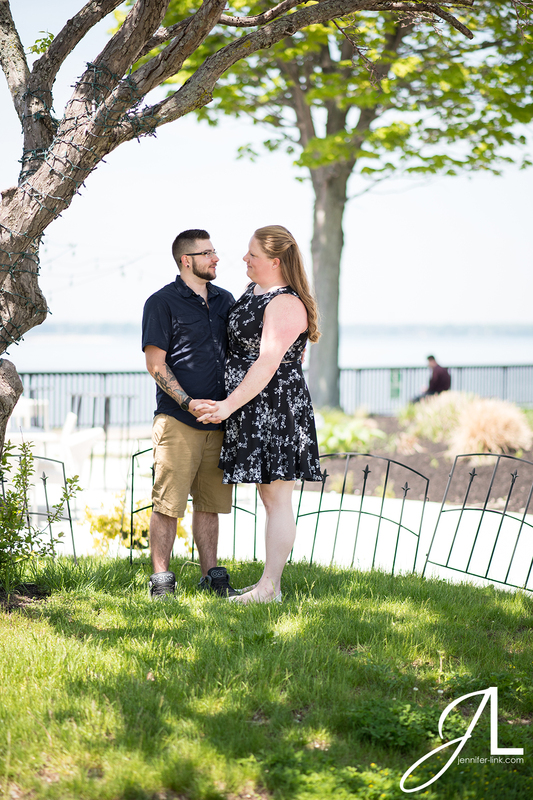 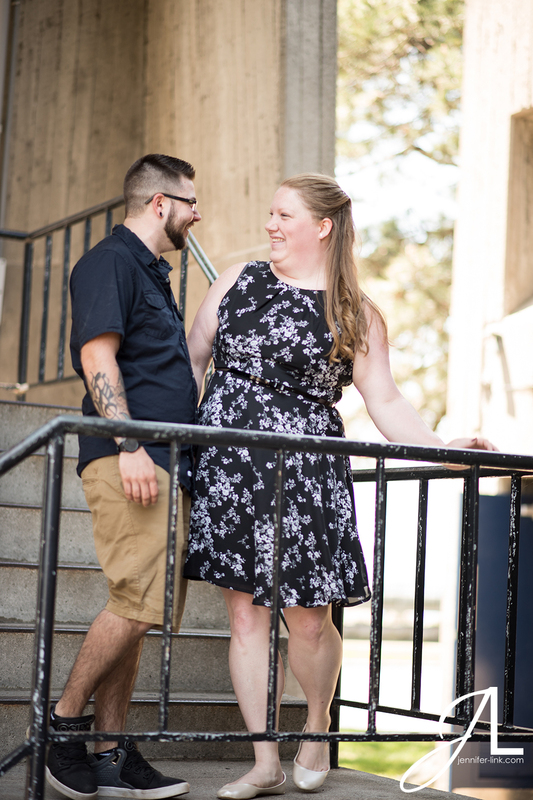 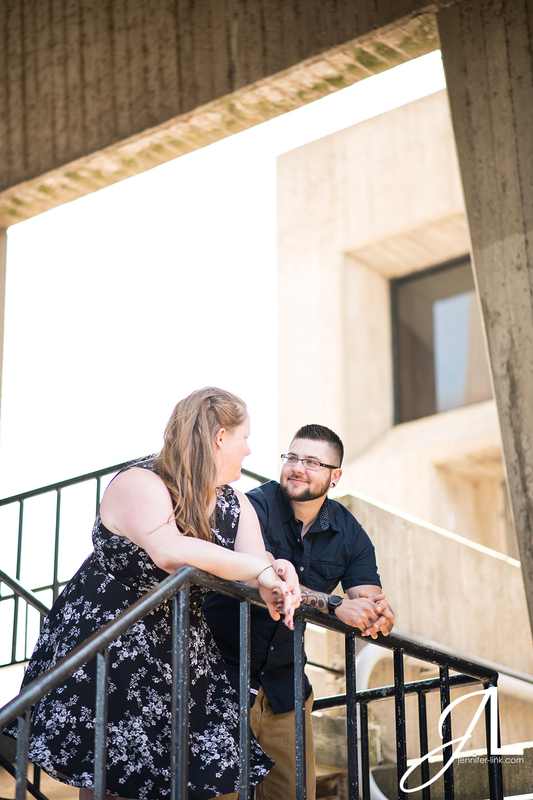 It was a lovely afternoon and it was touching to get a glimpse into the special connection Meagan and Cameron share, to get to know them before their big day, and to capture their authentic interactions with each other. 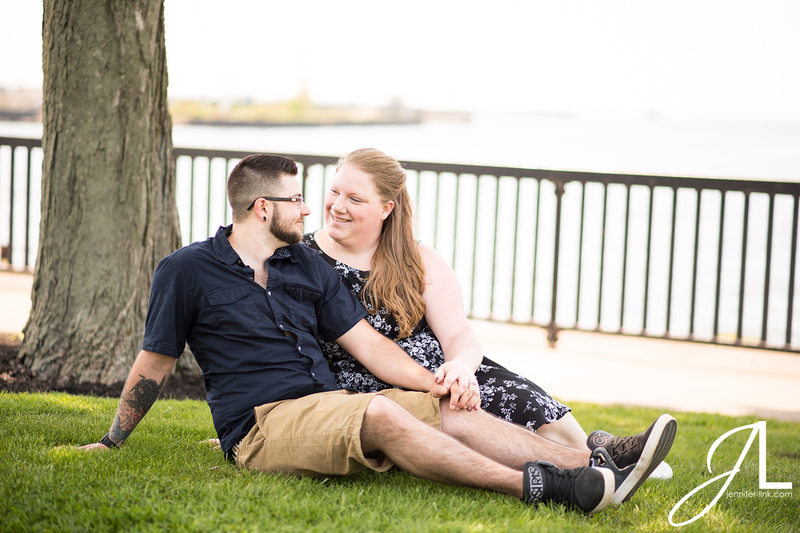 Everyone of my wedding packages includes an engagement session so we can get to know each other before the big day! 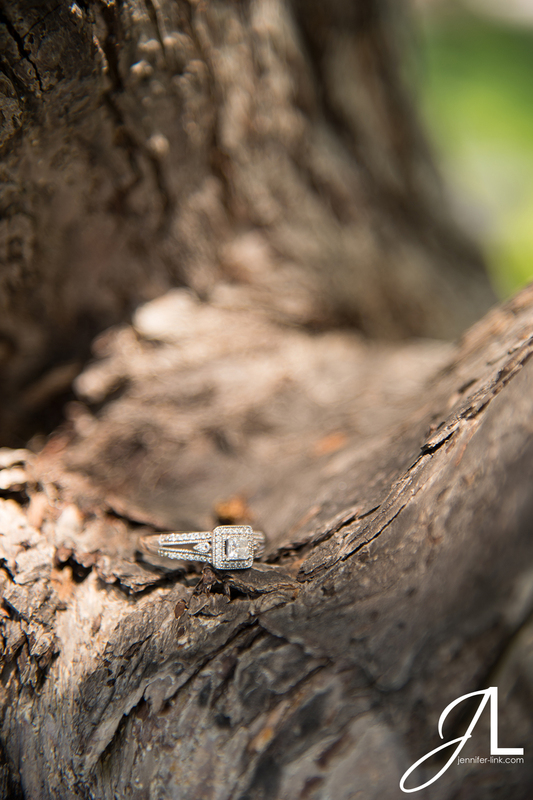 Find more details about my wedding packages on my wedding investment page.